8 different work out sets. 5 second countdown timer, to give you time to place your phone or pad down and get ready to go! Speaking system to tell you whats coming up next and much more! 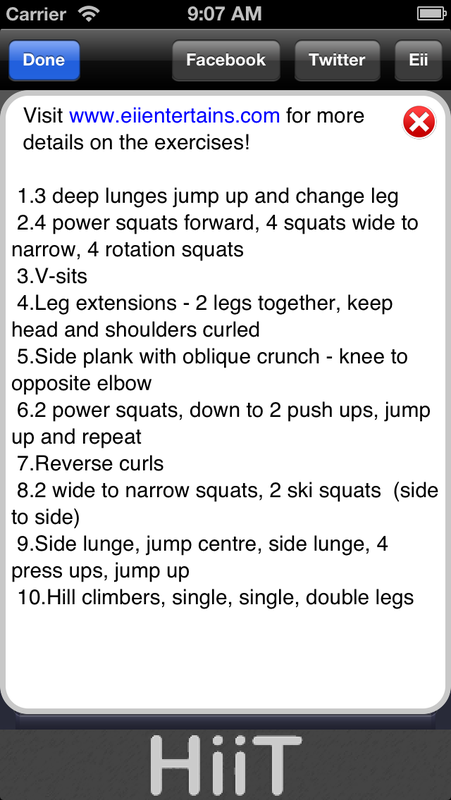 Details of all exercises used can be found here. 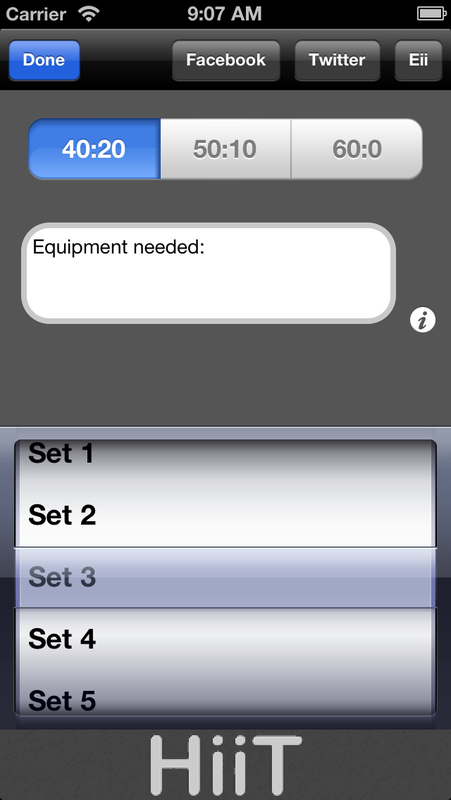 Use this app for ten minute training sessions, find your favourite set, or frequently change set to get this app's full potential! Go on, give it a try, what are you waiting for? Plan to do one routine daily for two weeks (that's just 70 minutes per week! ), note how many repeats you can do on the first day and then again at the end of the fortnight - amaze yourself with how much you can improve! Don't forget always make sure you warm up beforehand and stretch afterwards to manage the variances in your heart rate properly and to ensure muscles and joints are warmed up appropriately. Always stop immediately if you feel pain, dizziness or shortness of breath, and we advise you visit your Doctor or General Practitioner before starting any new exercise routine.